Japanese studio Nendo used "puzzle-like" joinery when designing this all-wooden chair for Fritz Hansen, which will launch at this year's Milan design week. 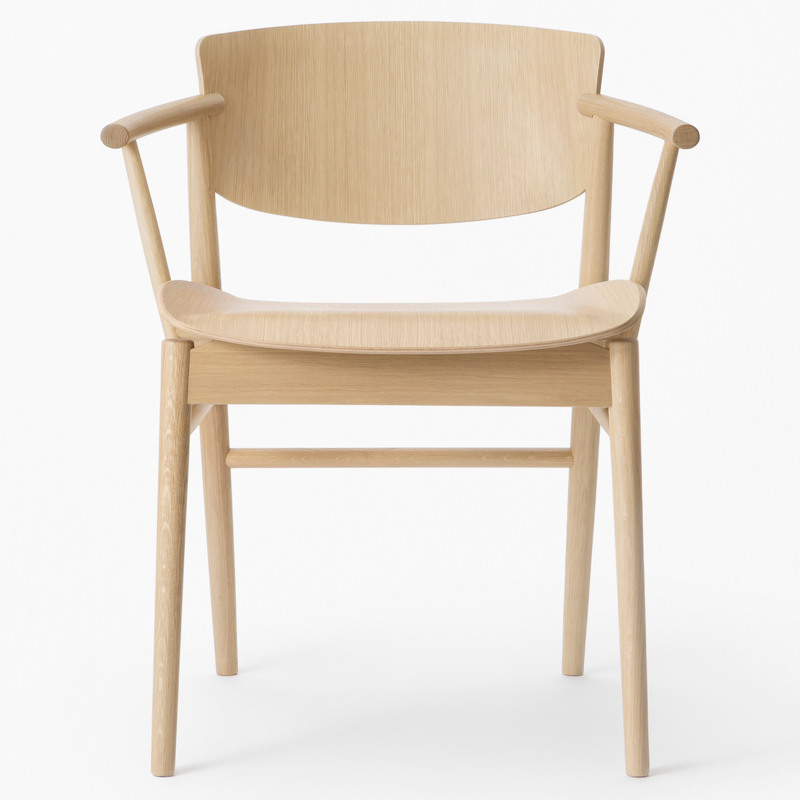 Named N01, the chair is the first totally wooden design to be produced by the Danish brand since Arne Jacobsen created his Grand Prix model in 1957. 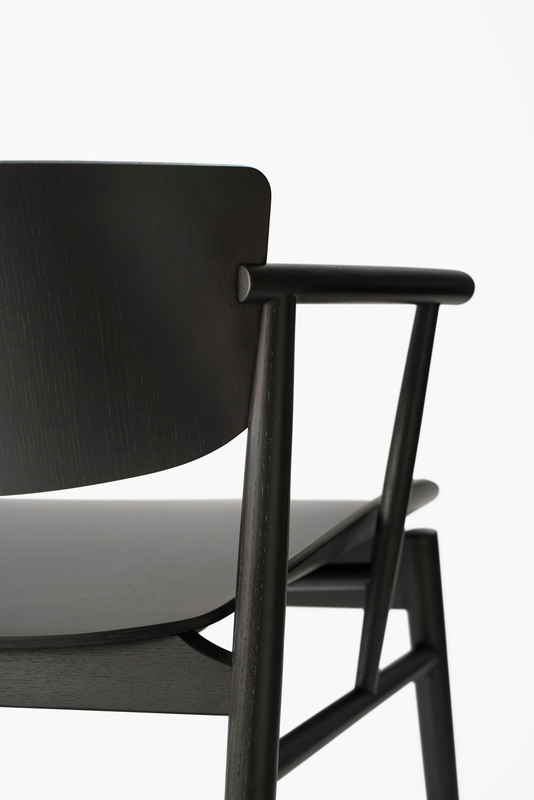 The structural elements of Nendo's design are made from solid wood, while others – namely the shell – are crafted from nine thin layers of veneer, formed using Fritz Hansen's plywood moulding technique. 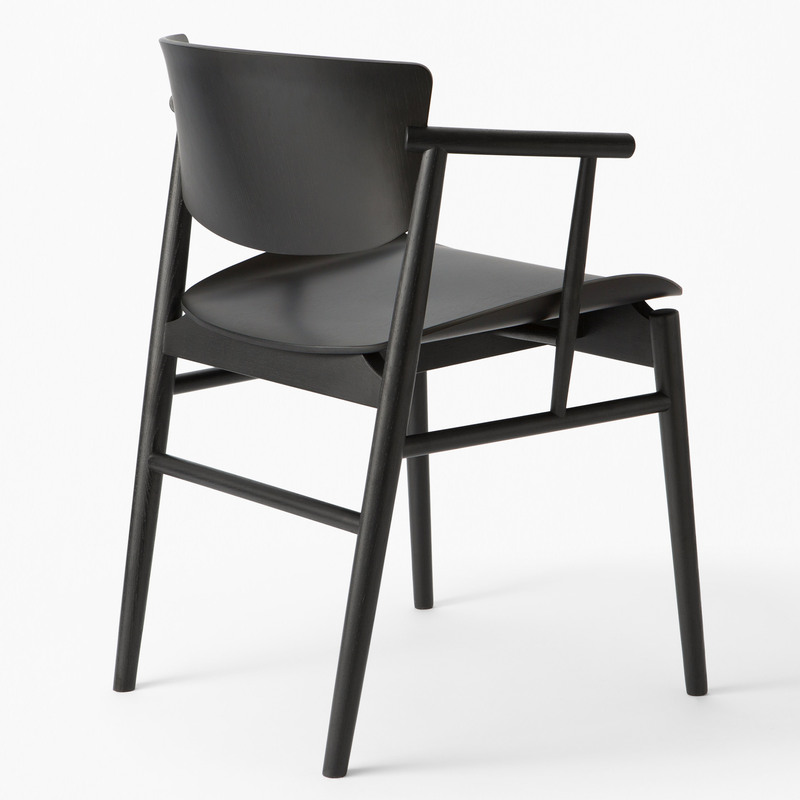 The chair's shape is typical of Nendo's simple design aesthetic and features a slimline appearance with short armrests. 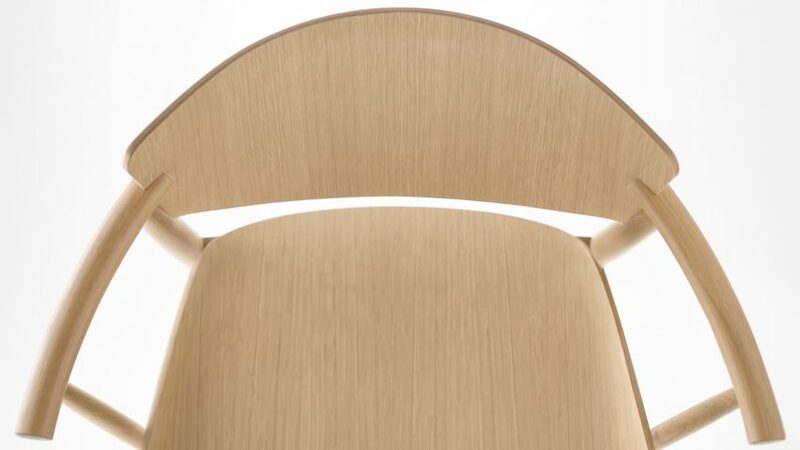 Joints used to assemble the chair are designed to be hidden – as though they are "barely touching". "Normally the joints between a frame and a shell are thickened to increase its strength, sometimes resulting in a heavy appearance," said the studio, which is headed up by designer Oki Sato. "To provide a lighter appearance, these joints were carefully designed to look as though they are barely touching," it continued. 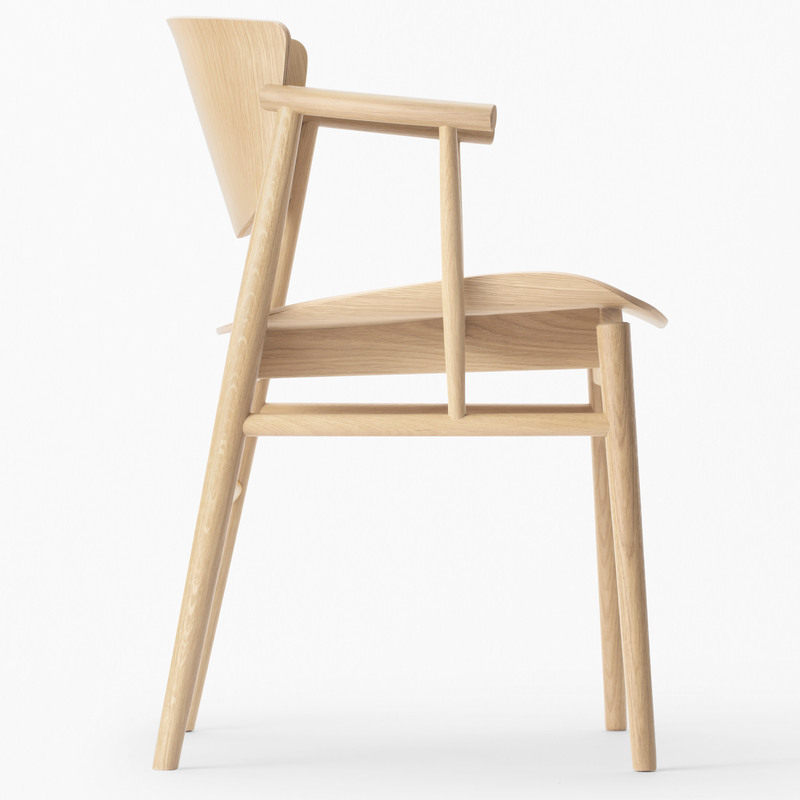 The N01 chair is made from 23 wooden pieces, each of which were produced by hand. The layered backrest slots into sections on the frame. The shorter armrests mean that the chair can be pushed right up towards a dining table, while the seat slopes at either side to fit around the body. "This puzzle-like assembly of 23 wooden pieces is a mix of solid wood and veneer all produced by hand, ensuring the construction comes across as seamless as possible in its design," Nendo said. 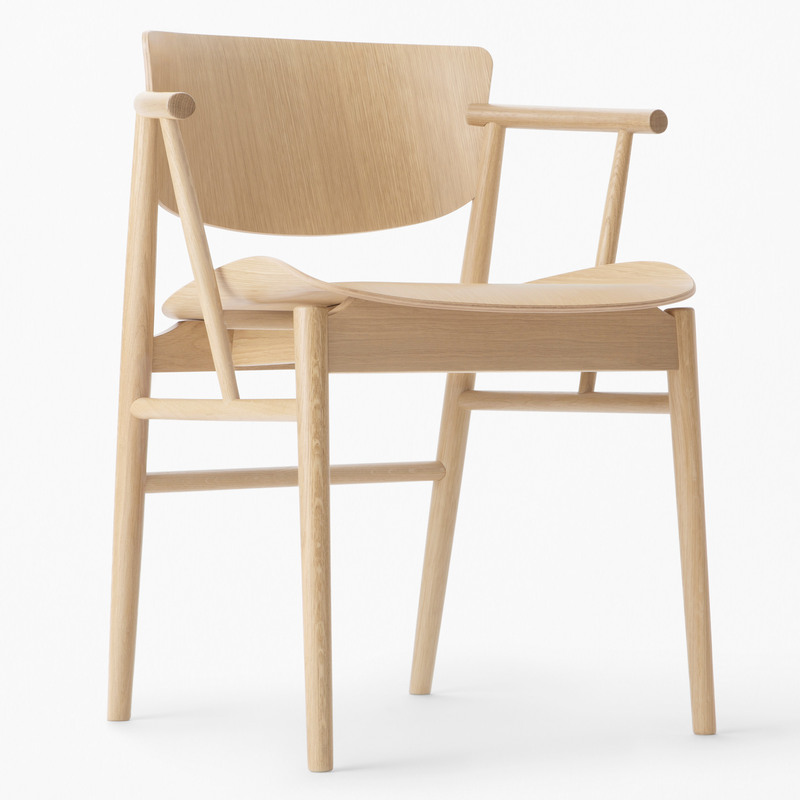 "This is the first time in 61 years, since Arne Jacobsen's Grand Prix chair, that [Fritz Hansen] produces an entirely wooden chair, one that is contemporary yet maintaining the traditions and heritage of the brand." Fritz Hansen will launch the N01 chair at the Salone del Mobile furniture fair, taking place during this year's Milan design week from 17 to 22 April. Other brands set to launch collections at the show include Established & Sons, which will unveil its first new pieces since the return of Sebastian Wrong, and new Spanish brand Nagami, which will showcase a range of 3D-printed furniture by the likes of Zaha Hadid Architects and Ross Lovegrove. Nendo's solo show is among Dezeen's pick of must-see exhibitions and installations taking place over the course of Milan design week 2018. Taking place at Superstudio, the exhibition – titled Nendo: Forms of Movement – will feature 10 different collaborations between Nendo and Japanese manufacturers, each one using unique materials and advanced techniques. As well as the final products, the exhibition will showcase the models and sketches used in the design process.